We have conchos and buckles for saddles, bridles, breast collars, chinks and chaps. Fix up an older saddle or bridle. 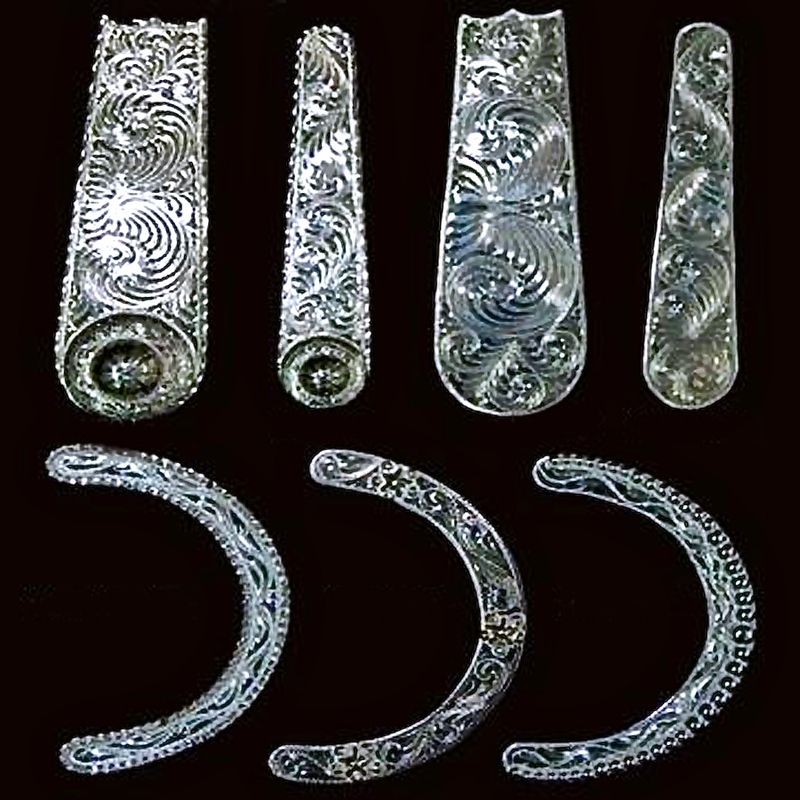 Design your new pair of chinks or chaps or new custom saddle and tack. 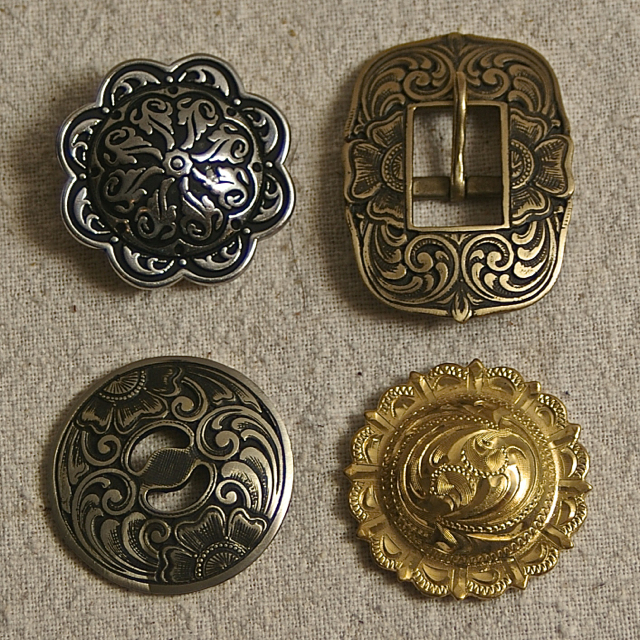 Order conchos and buckles for your own projects or for your customer's custom projects. 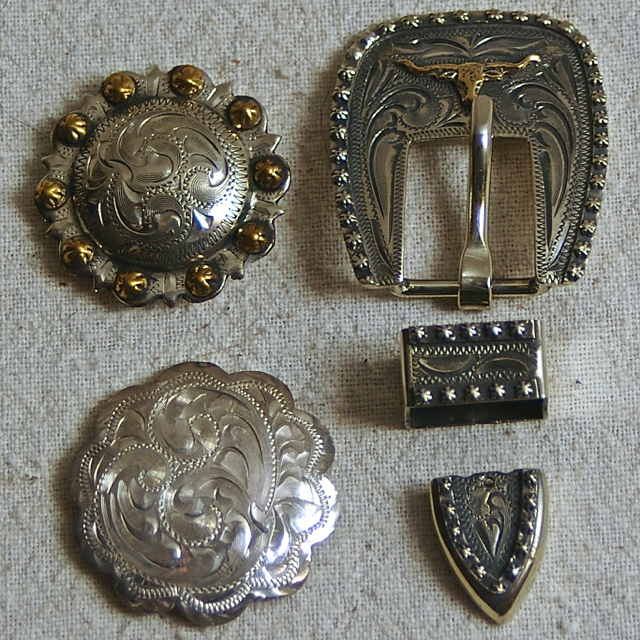 Conchos and Belt Buckles for sale: Click a Picture to View the Page! Rusted steel with sterling overlay. 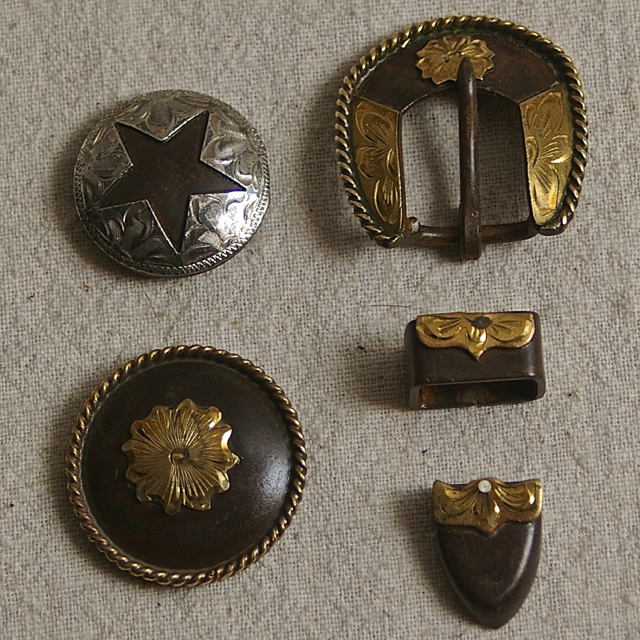 These conchos and buckles have a rustic appeal.